Tuesday 8th February 2005 was the date of publication of my first piece on architecture in Latest Homes. The column was called Hot Heritage and the subject was Brighton’s Marlborough House. 399 columns later, with a name change to Building Opinions, I still have the best job in local history. To celebrate my 400th column, I thought that I would focus on 400-year-old buildings in Brighton & Hove. There aren’t many. Marlborough House of 1765 doesn’t come close. Hangleton Manor, the subject of my second column and oldest secular building in Hove, dates from 1540 which isn’t too far off. An older Portslade Manor which dated from the early 1100s was rebuilt in 1611. I probably can’t get closer than that. It was demolished sadly and its flints became the rather odd folly in the current manor’s grounds. In Brighton, three cottages on Black Lion Lane are claimed to date from 1563 but they are probably newer. They may well date from the early 1600s but this is unconfirmed. I should have written about 200-year-old buildings on my 200th column. It certainly would have been easier. The oldest buildings in Brighton & Hove are churches. St Helen’s in Hangleton (late 1000s), St Wulfran’s in Ovingdean (early 1100s), St Andrew’s in Hove (late 1100s), St Peter’s in Preston (around 1250) and St Nicholas’s in Brighton (1300s) all survive to this day. Hidden spaces have captured my imagination over the past eight years and have become something of a theme. Tunnels, cellars, bell towers, attics, and reservoirs have all featured. These involve the built environment but don’t always count as architecture. My favourite building locally is probably Furze Croft in Hove or perhaps nearby Park Gate, because of their respective strengths as dense blocks of flats. 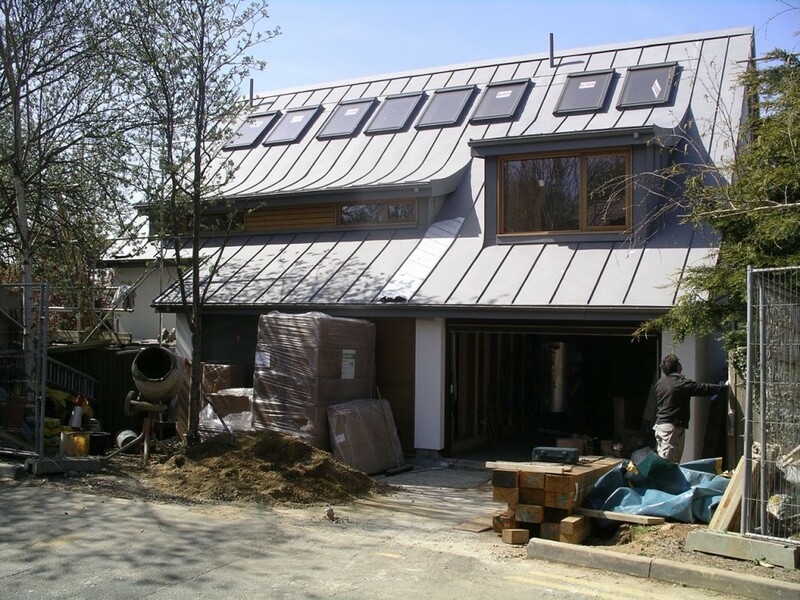 15 Lloyd Close, an eco-house in Hove, is my favourite new building. The worst buildings aren’t the usual suspects from the 1960s and 70s such as Hove Town Hall, which I actually quite like. The real turkeys are the missed opportunities of the 1990s and 2000s which inevitably involve pastiche and blandness – the yellow and blue curved corner building opposite the Royal Pavilion is one example. 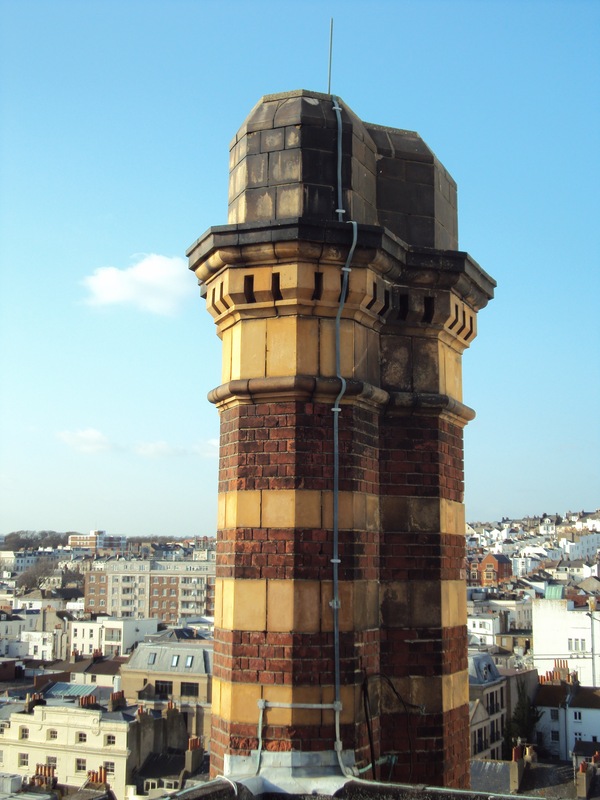 The best moment has been writing about construction graffiti on a hidden chimney on the Metropole Hotel. I was contacted by the late builder’s daughter in Australia who came across my picture of her father’s writing unexpectedly on the internet.